Whether it is your first or your 40th, behavioral interview questions can generate stress and anxiety. Prepare yourself with these tips. 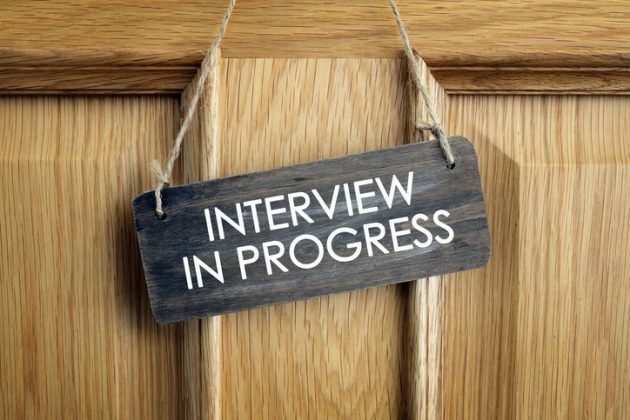 The most common interview format includes behavioral interview questions. Based on the premise that past behavior is the best predictor of future behavior, behavior-based interview questions can reveal attitudes and values of candidates not evident through a review of your CV. In-house physician recruiters use behavioral interview questions to determine physicians’ communication and problem-solving skills; patient-centered care; stress management; empathy; and leadership potential and other job related qualities. Behavioral questions are structured around identifying candidates that are a ‘match’ to the organization’s mission, vision, values and culture, and those whose attributes will promote advancement toward the organization’s goals. Here’s how to answer the questions successfully. “Tell me about a time…” is the common signal that you are about to be asked a behavioral interview question. Once you identify the question, apply a specific thought pattern to your response. Two common acronyms can help you structure your response: STAR and BAR. Find a comfort level with either and apply it as a framework around which you can structure real examples from your experiences. If, by chance, your answer includes a less than ideal Result (R), include the lessons learned and how you may take different action in future situations. Behavioral interview questions are custom designed around the core values of the organization. Take time to identify these values in advance of your interview. They are usually prominently displayed on the organization’s website, along with the group’s mission and vision statements. Prepare for your interview by considering each point and defining for yourself how and if that value is an attribute of your personal work style. When you’re asked a behavioral interview question, it’s OK to pause to consider what is being asked and what qualities the employer is looking for. Think of an example that is relevant to the question and to the value of the organization, even if it requires a moment of deeper thought. Give the details that provide a complete story while staying relevant to the question. Recruiters are looking for a specific story, not what is done “in general.” Avoid using “canned” responses. Preparing yourself for an interview by considering the values of the organization and how to frame your relevant experiences shouldn’t restrict your ability to think freely and give sincere and spontaneous responses. It should create a pattern for your responses using the STAR or BAR acronym. • Tell me about a recent situation in which you had to deal with a very upset patient or staff member. • Walk me through how you present complicated information or instructions to patients. • Describe a time when you had a dispute with a patient and how you handled it. • Do your personal standards exceed the expectations of your organization? If so, give an example. • What are the standard expectations for a good job in each aspect of your job? Do you meet or surpass them? • What is the biggest mistake you’ve ever made on the job, and what did you learn from it? • Most regulations leave some leeway for interpretation. Discuss a few examples of when you had to stretch or bend the rules. • Describe a situation where you broke a rule or came close to breaking it. What were your reasons? • Describe a situation where you had inadequate resources to accomplish your objectives and how you dealt with the challenges. • Describe a time when you anticipated potential problems with safety and developed preventive measures. • Describe a situation when you discovered a safety hazard and what you did in response. • Describe a decision you made that wasn’t popular and how did you handle it moving forward. • Describe a situation where an interaction with a patient had a strong impact on you, and what you learned from it. • Describe a time when you had a dispute with a colleague and how you handled it. • Have you ever served on a team and had a different opinion than the rest of the group? What kind of agreement did you finally reach? How did you support the final decision? MINK MidWestMD is an association of in-house physician recruitment and retention specialists from Missouri, Iowa, Nebraska and Kansas. Search their physician and advanced practice provider job opportunities here.